Hailed by many as one of the best discoveries of 2015, The Picturebooks are a rock-blues-country-soaked duo consisting of Fynn Claus Grabke (vocals/guitar) and Philipp Mirtschink (drums). Based in Germany but signed to the American psych/stoner imprint Riding Easy, the boys are currently in the middle of their second US tour of 2015. They have also visited the UK twice already, wowing the crowds as support to The Answer on their April trek before returning a few weeks later to perform at The Great Escape festival plus a handful of headlining shows to promote the UK release of their new album, ‘Imaginary Horse’. Following a slew of excellent press write-ups from publications as diverse as Artrocker, Blues Magazine, Classic Rock, Noisey and Trebuchet, plus radio support from stations such as Planet Rock (‘New Rock Show’) and Team Rock (‘Breaking Bands’ Record of the Week), the band have announced another string of UK dates in the early autumn. 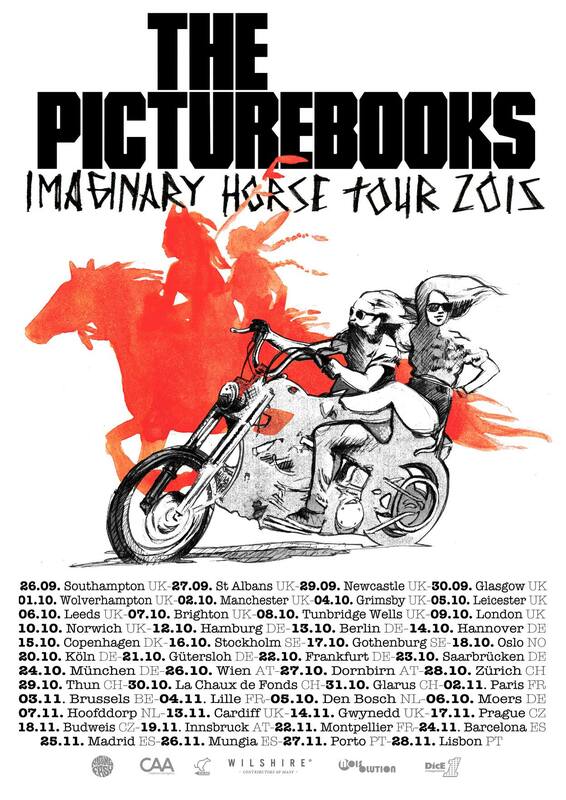 The ‘Imaginary Horse Tour 2015’ will initially visit a dozen towns plus an appearance at the Sound & Vision festival in Norwich. A further month of solid touring in mainland Europe will then be followed by a visit to Wales for shows in both the capital and another festival set at Hard Rock Hell IX. Recorded in the same garage where the band refurbish and repair motorcycles and choppers (both are keen bikers), ‘Imaginary Horse’ captures a raw, rich and real energy befitting the room’s natural reverb, industrial aura and spiritual spark. More importantly, it has revved up their musical career.